Remember David Brown? He was here earlier in the year. We'll he's joining us again today to tell us abo ut Elencheran Characters. Just a small aside, not only has David built an intriguing fantasy world but he keeps rescue cats. Kudos, David, and welcome. What Makes an Elencheran Character? The world of Elenchera has been more than ten years in the making and there are many weird and wonderful characters that live there. This is a world where survival of the fittest is very much at the forefront of history. Many lands strive for peace, but there are plenty more that ensure this never happens. Monarchs and other rulers are seldom content with the lands they rule. They’re always thinking much bigger. They have a limited amount of time in the world and their desires are to write their names into the pages of history rather than be forgotten. I have future Elenchera novels in mind which may focus on monarchs but the majority of the stories are about seemingly ordinary individuals who are alive at key moments in the wor ld’s history. Elenchera and its multitude of historical events are not there to dominate the pages and leave the reader rolling their eyes with a history lesson. Anything about Elenchera is in the background, it is the characters that are the most prominent on each page. 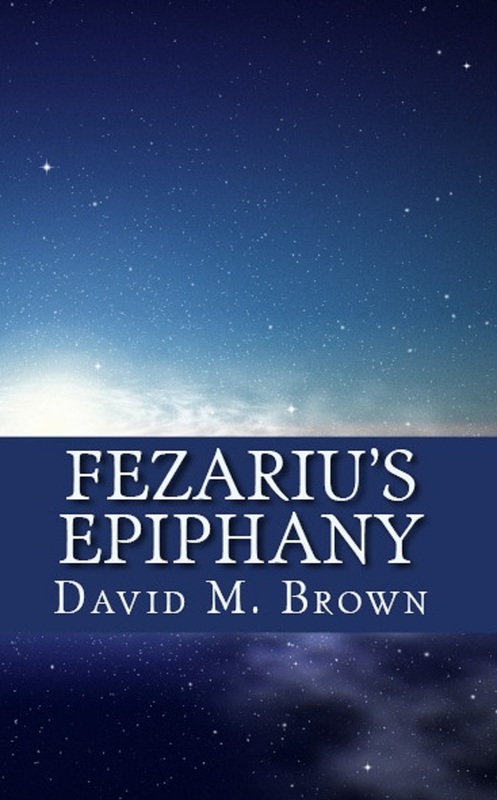 In my debut novel, Fezariu’s Epiphany, our principal character is Fezariu who suffers many upheavals in his childhood including abandonment by his mother and the murder of his stepfather. It is all too much for Fezariu to take and he flees from his past and finds a haven with the Merelax Mercenaries – one of Elenchera’s most prestigious fighting forces. It is the fresh start Fezariu needs and he excels as a mercenary, always perched on the fine line between life and death with no need for emotional constraints or thoughts of his past. 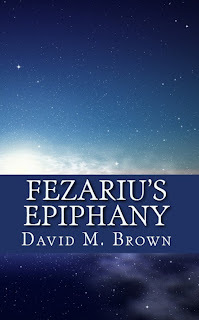 As withdrawn and seemingly cold as Fezariu longs to be he makes friends in the mercenaries that leave their mark on him and that past he so desperately wants to forget will simply not go away. Fezariu is an ordinary individual who has an amazing story to share and this is how all Elenchera novels will be. I’m currently working on my second novel, A World Apart, which focuses on three friends – Demetrius, Eleyna and Halcyon – who grow up together in the town of Dove’s Meadow. In their teens they find themselves in the midst of a love triangle which is only resolved when one of them leaves town. With new paths set the trio of friends seem destined to forever go their separate ways but they are reunited by unfortunate circumstances and the extent to which they have changed is too much to bear. Sadly for the three friends walking away is not an option and they are forced to face each other and their pasts. Characters in Elenchera are not perfect. All of them have weaknesses and flaws that some can overcome but others have them as permanent obstacles in their lives. Survival is obtained by whatever means necessary. While the likes of elves, dwarves and dragons thrive in the early centuries of Elenchera due to their strength and longevity, such reigns cannot lost and is the same of all races in Elenchera. Some are wiped from the face of the earth, others rise and fall with the passing of time but Elenchera always remains. Each novel will give you a taste of the ever changing history. Elenchera is an uncompromising world but happiness is possible and all characters are out to achieve it whatever way they can. 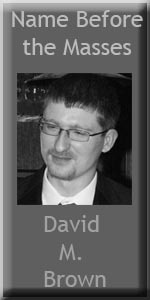 David M. Brown was born in Barnsley in 1982 and first conceived the idea of Elenchera in college. His love of history and English led him to read t hese subjects at Huddersfield University. David is inspired by medieval history, Norse mythology and Japanese role-playing video games and anime films. He lives in Huddersfield with his wife Donna and their six rescue cats. The day began at eight o'clock were we met in a closed door auditorium and weren't told beforehand what would be going on. We started the day by reading the Law Enforcement Code of Ethics. After that all hell broke loose...in a theatrical sense. They did a reenactment of a hostage situation that was pretty cool. The police were behind their shields on the side of the auditorium and they had a sniper in full dress in the back. As you probably figured out the bad guy went down. Afterward, the sniper spoke to the audience. Pretty interesting stuff. I don't know about you but I've always wondered when a sniper takes a shot, where there's a hostage as a human shield, whether the perp's finger might involuntarily press the trigger when he goes down. After listening to the speaker, my understanding is the sniper has a three inch window of the face to aim for and when they hit inside that window the person drops on the spot, no twitches, they're gone. After that, Sherry and I went to the Police Tools and Equipment seminar. This was held by BLET instructor Ri ck Brewer. I found this one of particular interest since my son went through BLET training back in the day. The next workshop we attended was Going Undercover To Solve Your Crime with instructor Marco Connelli, NYPD detective. This was probably one of our favorite workshops. It was fascinating. Marco talked about the years he'd spent as an undercover cop in NY back when he was in his early twenties in the narcotics division. He also took time to help with writing scenario issues writers were having with realism. He currently publishes YA. Another favorite was led by Corporal Dee Jackson. This was on women's person safety. She gave us handouts and taught us two basic self defense moves. Extremely helpful. 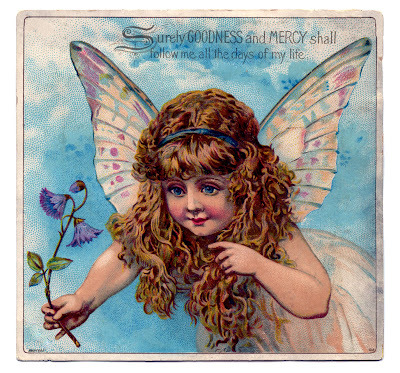 As you cleverly deduced from yesterday' s blog, I'm back. And I've gotten my pre-edits sent in so I've got some breathing room for a bit. Whew. The conference was great. If you haven't been to the Writer's Police Academy I recommend it. If you're a Sister's In Crime, the price is very reasonable. And they have no problem with you joining to get the discount. There were several different workshops to pick from. I'm sure I missed some good ones. The workshops started at 8:00 a.m. Friday and ran till 5:30 p.m.
At eight o'clock, Sherry Morris and I took the fire station tour in the pouring rain. The instructor kept saying, "If you want to be a fire fighter you can't let a little rain bother you. I did notice he usually made this statement from a dry location while the rest of us stood in the downpour. grin. From there we went to Viewing The Crime Scene In a Different Light. Very interesting workshop. The heavy mag lights policeman carried a few years ago have been replaced with smaller flashlights that can pick up footprints, etc not visible to the naked eye. Some police are trained to use them as an investigative tool. Others are not. This workshop was led by David Pauly, a professor at Methodist University, Department of Justice Studies and Applied Forensic Science, FBI National Academy. From there we went to the workshop: Bloodstain Patterns and Presumptive Testing, also taught by Dave. This workshop basically taught you how to read blood spatters and the tools that show blood even after its been painted over and not detectable by the human eye. In the afternoon we went to Handcuffing and Arrest Techniques. This was a fun and informative class also. Those suckers aren't as light as they look and if they aren't keyed they will continue to tighten after they've been locked on. The last presentation 'Psychological Sleuthing and the Tools of Forensic Psychology' was done by Dr. Katherine Ramsland. She holds a degree in forensic psychology, teaches at DeSales, has written several books and appeared on several television programs. She talked about forensic science, psychology and how murders sometimes get labeled as suicide. With me today is good friend, fellow author and editor, Jewel Adams. 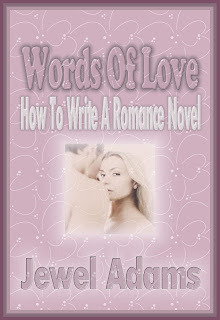 Jewel has written a how to write a romance novel that you'll no doubt want for your writer's tool box. She has included a look see into the work itself. After you've read it, if you decide you'd like to purchase it, the link is below. Enjoy. The largest step in writing is deciding to write; whether your work becomes an epic novel, a short story or novella, the biggest decision you face is—where do I start? If you were to walk into any bookstore or visit one online, their shelves are filled with any number of books telling you the whats, whys and wherefores of writing. You can read them all and once you finish, you will shake your head and drop your forehead on the table, groaning. Out of all that material, most of it was a lot of help on how to set up a manuscript with all the proper margins and spacing. None or some of that information may benefit you as a writer, but you still didn’t find any help with the writing part. Every writer and how they create their work, will do it in a different manner. Always remember, there is no set way to write, one method is as good as the next. Let’s find the most comfortable way for you to write. You made the decision to write, now you need a place to write, a cubby or space that is the most comfortable for you. It can be the back porch, the kitchen or at the computer desk. Find that certain place in your house that is you. When I say you it is because we are all different and we aren’t in high school any longer, so we aren’t chained to the old rules. Mom may feel the most comfortable in the family room where she can keep an eye on the kids. Another may need complete privacy. Each of us has our own comfort zone, find yours. Set up your space, make it a work area, but also make it a place that you want to be. You are going to spend many hours in your space, so arrange it the way you want it. If you have certain music, candles or plants that you might like having around you, include them in your space. Whatever feels right. Moms, don’t be afraid to set up some rules about your space, tell the children they have their play area and this is your area. They will listen, tell them what you are creating. You can give them the appropriate writing tools because they will probably start writing/drawing stories like their mom. Next, you need to write for you. That’s right, you can write on paper with pen or pencils and don’t forget the erasers, or you can compose right on the computer screen. Find the most comfortable medium for you to write. Think of your writing the same way an artist looks at the canvas, they use acrylics and oils, y ou use pen, pencil or the keyboard. Try them all if you want, just find the one that allows you to envision the words. Words, now there is an image. Words are the artist strokes on the canvas. Every word you write creates a picture. They are the art on your canvas. How you pull them all together will give you a beautiful work of art. In one story or novel, there are many different pictures to be created. Like an artist, the more you paint with your words, the more proficient you become. You can think of each chapter or scene as the picture you captured. The art of writing is an ongoing experience that allows you to continually, learn and evolve. Try out your space. Write anything, write a letter, a recipe, a note to your love, a thought or experience you went through at the grocery store. Your world, the whole day is filled with stories, write one of them. They can be small or an adventure, don’t worry about how it sounds or even if it makes sense, just write. As you write get the feel of your canvas, the page forming before you should feel comfortable. On the computer you can set the page so your fonts on the screen are larger, you should never strain your eyes to see the page, just go to the zoom and set it up to the size that works, say 125%. Make sure it feels right and is the most comfortable. If you are using paper and pencil, make sure your have the right paper. College rule is smaller than regular rule, make sure the one you pick fits you. You can use notebooks or sheets of paper, try both and pick the best one. This also goes for the pens or pencils, the #2 pencil is usually good, mechanical pencils are great just make sure you get the right lead. Pens need to flow as you write, not cut into the paper. The gel pens are very nice to write with as they slide across the paper. If at all possible I would recommend that you try writing directly into your computer or laptop. The computer is such a magnificent tool that will spoil you as you become familiar with all it offers. You can write notes to yourself as you craft your story; research is at your finger-tips. The computer can automatically fix misspellings. 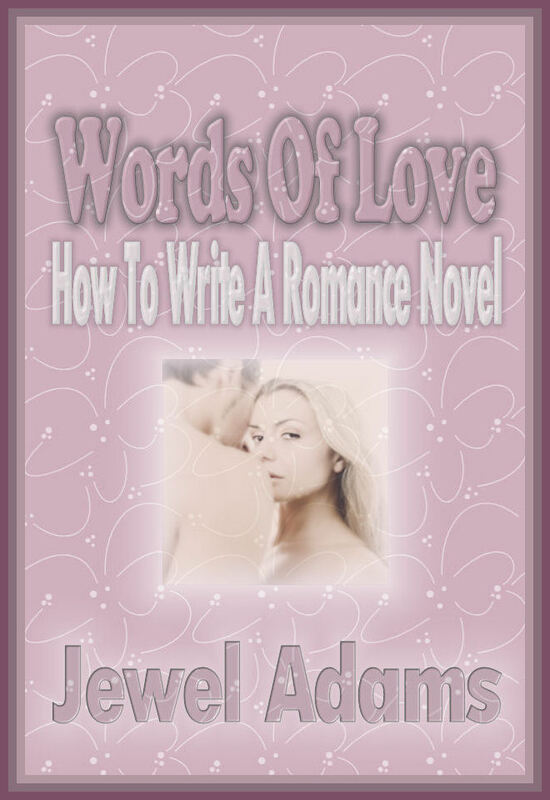 Grammar settings usually don’t work that well with Romance writing, but it will alert you to some basic writing mistakes. Writing directly onto the computer will save you a lot of time when it comes to putting your book on the computer. Personally, pen and paper holds a soft spot in my heart. I still have many book pages to type into the computer. Practicality rules that the computer is more efficient. If you haven’t typed directly into the computer, give it a try, it takes time to get the feel for the keypad, but once you do you’ll be excited over how fast the words appear. Here we are—we have our special space to write within, our medium or canvas is ready, now you begin…oh, but wait, what do I write? I hope you enjoyed this look into Words of Love. Participants in the series have asked for them to be in book form. It took a while but it is finally available. Remember to always follow your dream. I'd like to welcome friend and fellow writer Kerri Nelson. Many of you know her through The Book Boost and/or from charities that she's actively involved in. 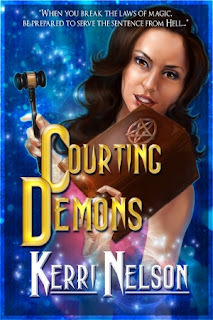 Kerri has left information on her new book Courting Demons. Looks like a fun read. Below is a blurb, her buy links, a bio and.....information on a chance to win a Kindle. Leave a question or comment to be entered to win today’s prize: A Custom made Momwitch Bread Bag Clip! What’s the name of the book store where Paisley works? I'm probably not going to be very visible this week. I'm still working on pre-edits and I'm heading for the Writer's Police Academy Conference the latter part of this week. I've never written a murder mystery, but it seems there's always a cop lurking somewhere in my writing so I thought besides being fun this would be a great informational conference. I've been to RT and to Romanticon but this is the first conference I've attended that in the information sent out were the instructions to leave firearms and ammo at home. Should be exciting, hey? Just posting a couple of pics from my daughter's gallery show that opened tonight. It was in conjunction with the Art Crawl here in town. The one on the left is probably as close to a family portrait as I'm going to get. But she got our best side. grin. 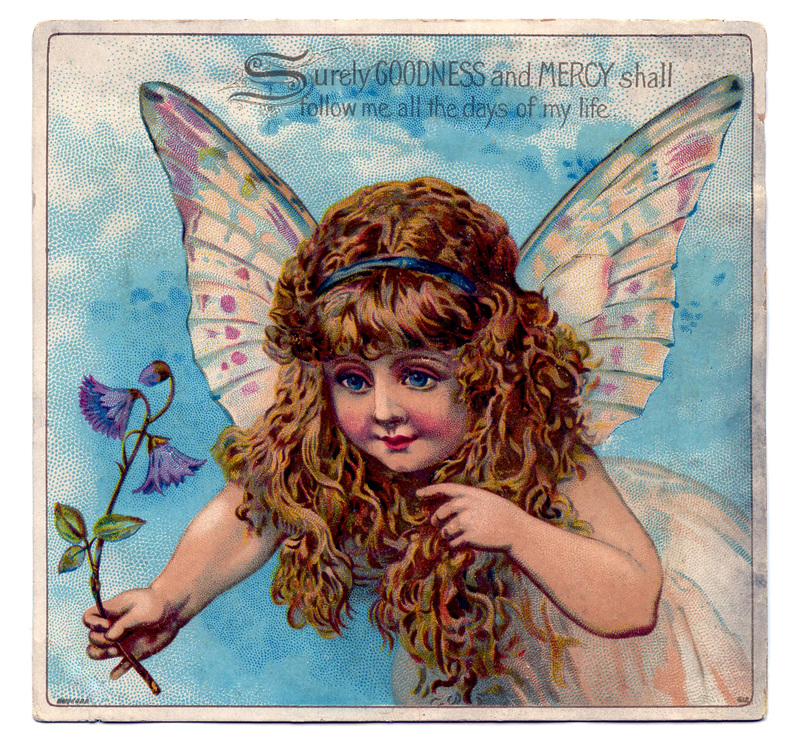 As writers its our inalienable right to claim distractions that keep us from writing. Oh and my personal favorite...brain dead from the day job. Well, here's my current distraction. Aren't they cute? A rescuer stepped in when they were on their way to the kill shelter. The little female hemmie is extremely shy but the little Siamese male is full of himself. He's a little purr machine. I named the little female Makita since she looks like one of my book characters. But enough about my excuses,er, distractions. What's yours? With us today is T. Lynne Tolles. Welcome T. Lynne Tell us about your current project. I haven’t done any writing since I finished Deadman’s Blood, however I have a bunch of notes and research for a possible new series based on a hellhound and a witch. Do you think a writer needs an agent? I think in this day and age having a person looking out for your best interest and helping to match you up with a publishing house is always a good thing, but no matter what you do or how you go about getting published being involved with the book throughout all its process is a priceless learning experience. When I was a teenager I couldn’t do a thing without music in the background. Now I find it distracting when I’m actually writing. However, when I’m developing the storyline or just doing everyday chores, music can influence an idea or a path the story might take. Sometimes even hearing a song that just reminds me of one of my characters can develop that character’s traits. Yuck and Yuck…Do I have to pick one? I guess I’d have to say hand-washing dishes…I’m not very good at the writing of a synopsis. It feels too much like homework in high school (giggles). All my books are available for sale in Ebook or paperback form. In Ebook I have all the books available in most platforms. In the very near future, all books will be available in hardback and I am also checking into having the books available in audiobook form. 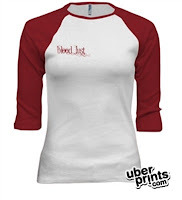 They can be bought at my website, amazon.com, smashwords, createspace, lulus, barnes and noble, all romance, and more. “I’m very sorry Anton is sick, but that does not excuse your. . .” Devon started and Blake interrupted. “Yes. I am with Rowan, but you don’t understand, Dominic,” Blake said reluctantly. “That’s enough Dominic. You are wrong about werewolves, like many are wrong about vampires. You are mistaken. .” Devon defended. “Your wrong, Dominic, very wrong. These are good and decent people. They’ve risked their lives for us on numerous occasions..” Blake tried to explain. “Don’t bother explaining Blake. He won’t change his mind. He has his view, and that is the only view he’ll ever see,” Devon said. “Connecticut is not our home. This is our home, Oljone, California. Right here, a bunch of great friends that are waiting for us to continue our Thanksgiving feast,” Devon said as he turned and headed back to the house. 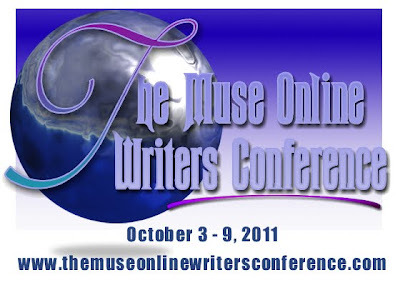 Muse It Up's Writers Conference. I'd recommend checking this out. They have a wide range of topics for writers. The icing on the cake...its free. If you are attending and would like to make a donation its appreciated but not mandatory. See you--in the virtual sense--there. Books I've read? Long time ago. Cats I've fostered? No doubt. Rejection letters? Lets not go there. The number I'm specifically talking about is followers. For those of you who follow my sporadic blogging....thank you. You make my day. Don't go to bed angry.... Stay up and plot your revenge. 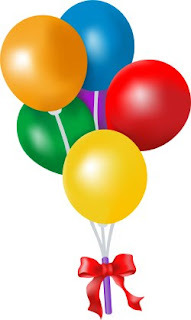 celebrated its first workingmen's holiday on Tuesday, September 5, 1882 in New York City. Over the next few years, the idea spread throughout the country. In 1884, it was switched to Monday. In 1887, Labor Day gained state recognition in Oregon.Other states followed suit.By 1894 it became a Federal Holiday It has continued to evolve into what we recognize as Labor Day today. I'm blogg ing at Nightwriters today on the American Shorthair.